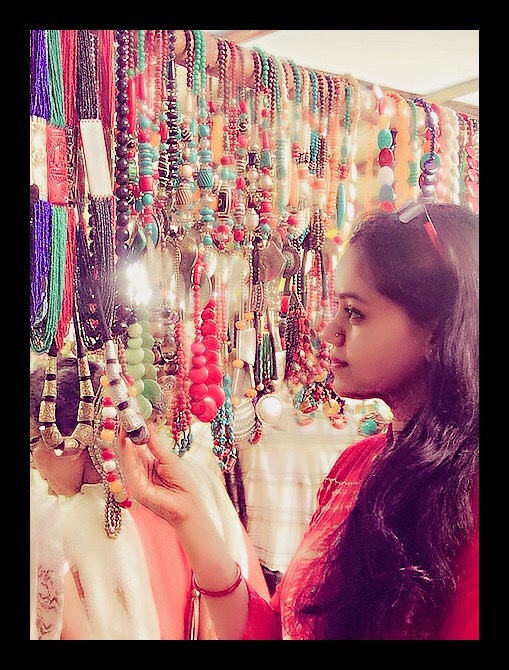 I couldn’t post anything in a while owing to husband dearie’s exams in Delhi and the internet connectivity was poor due to jammers installed in the cantonment. 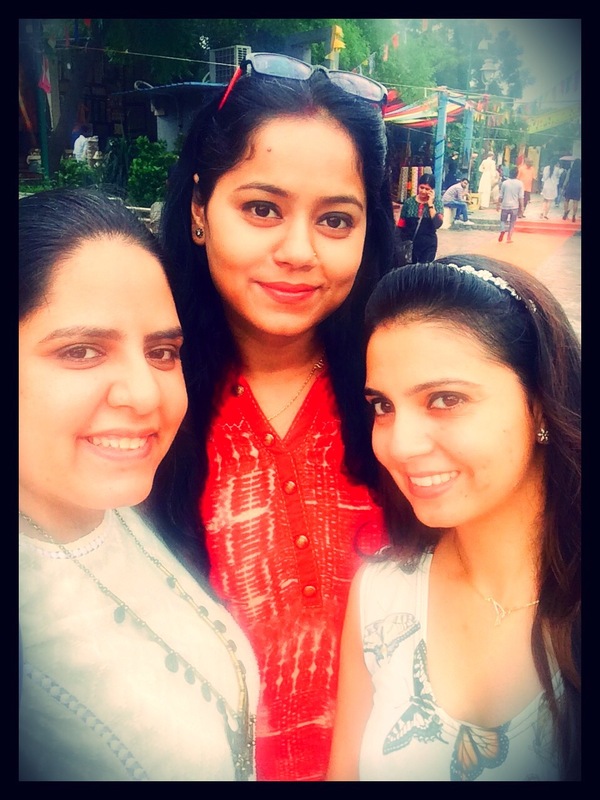 Nevertheless, Delhi gave me the opportunity to meet both my best friends after a long time and we decided to relive the fun times of college. 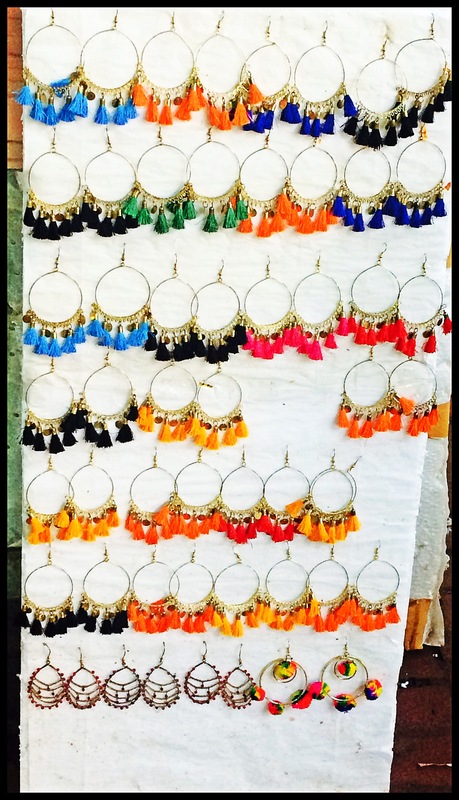 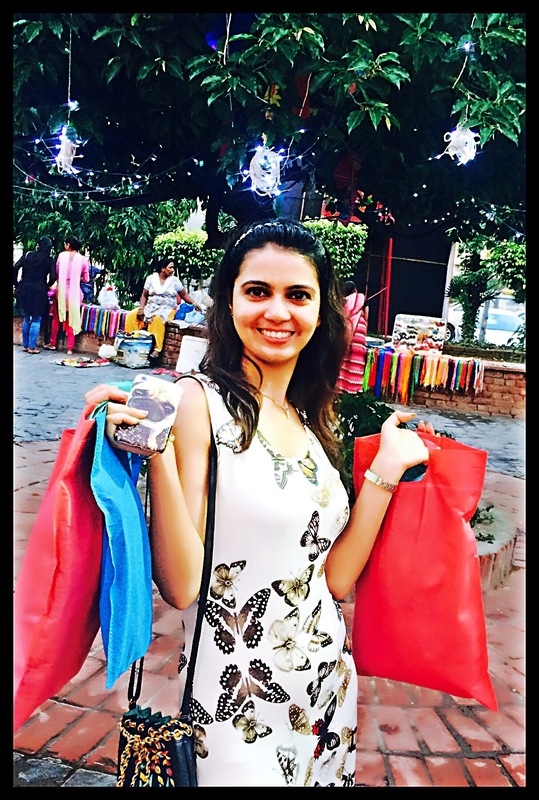 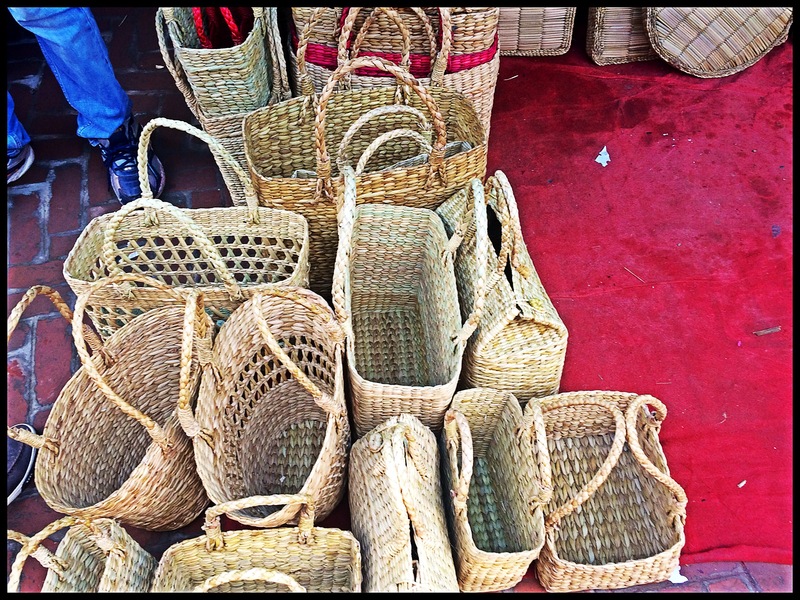 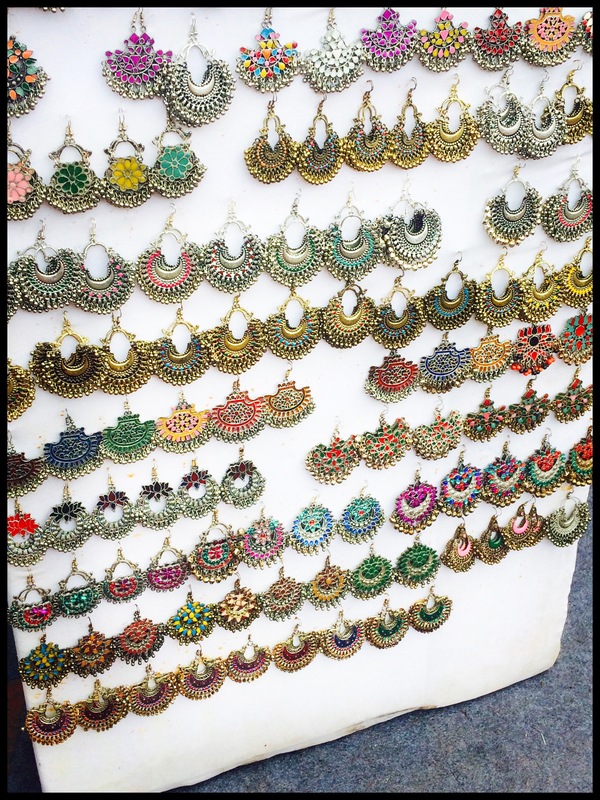 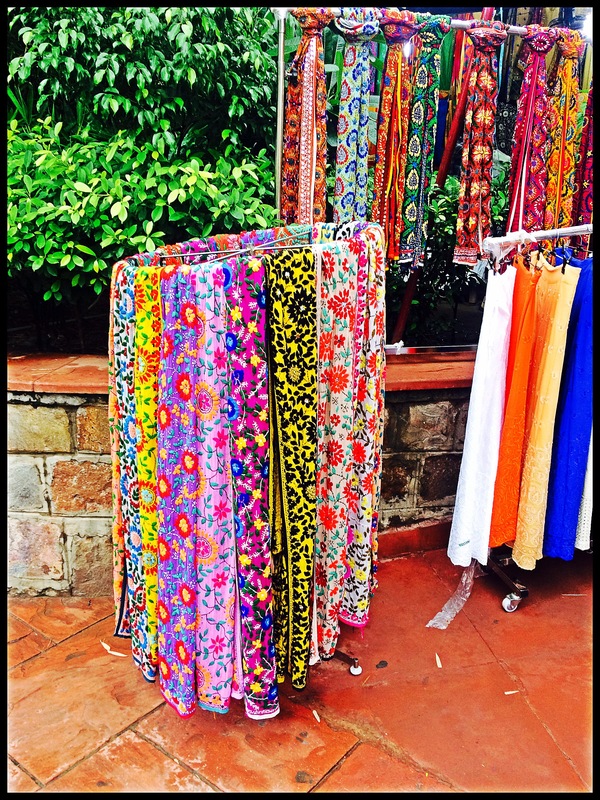 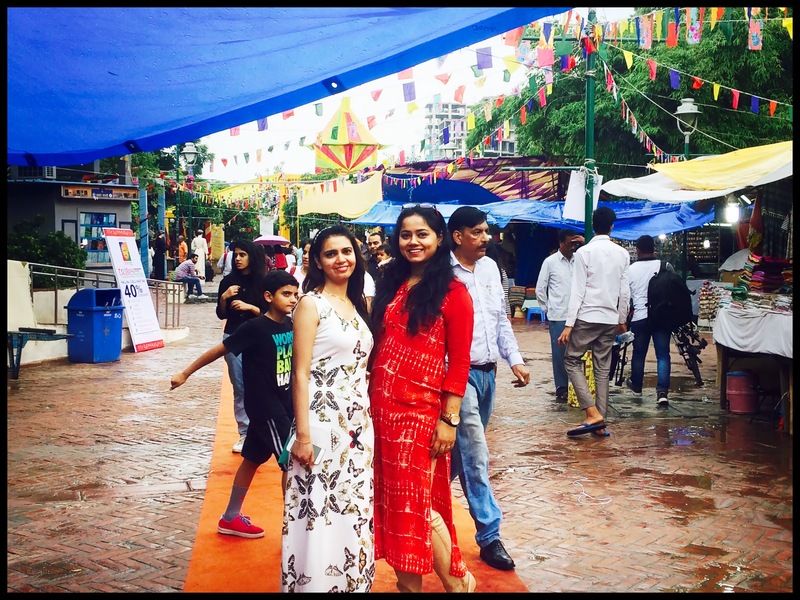 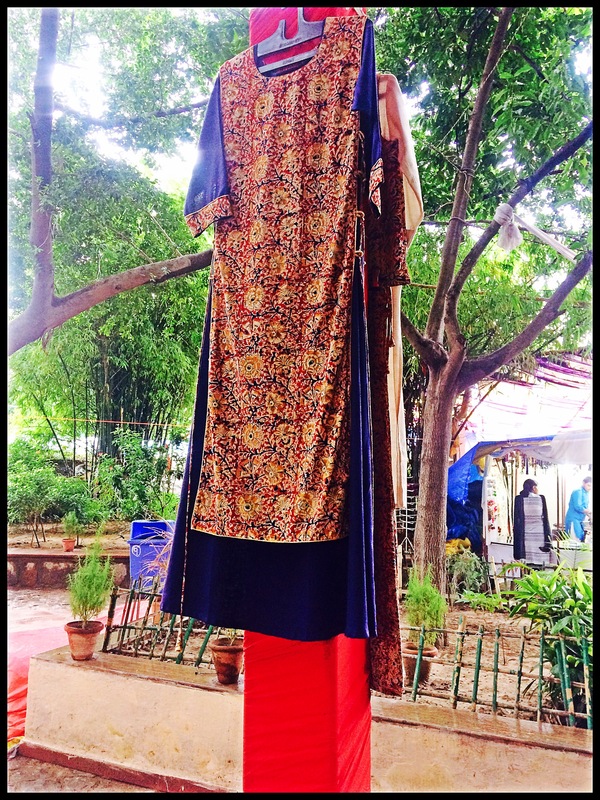 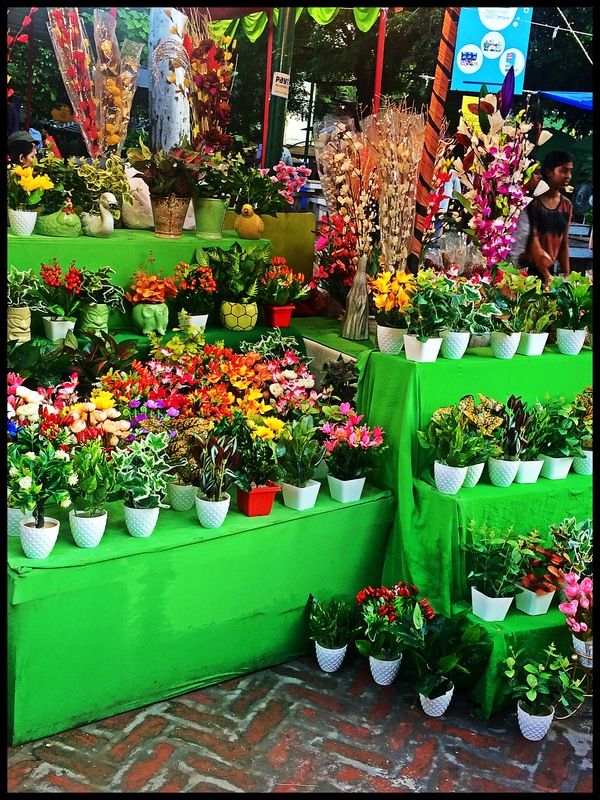 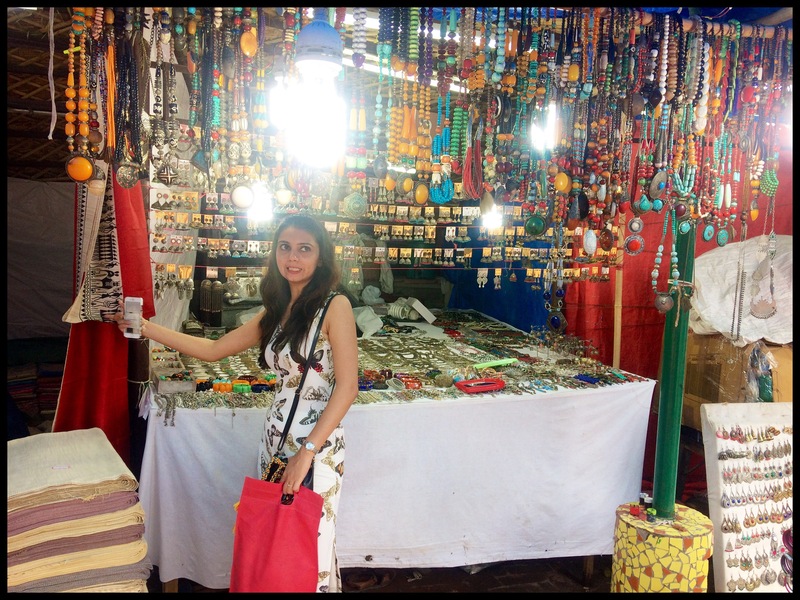 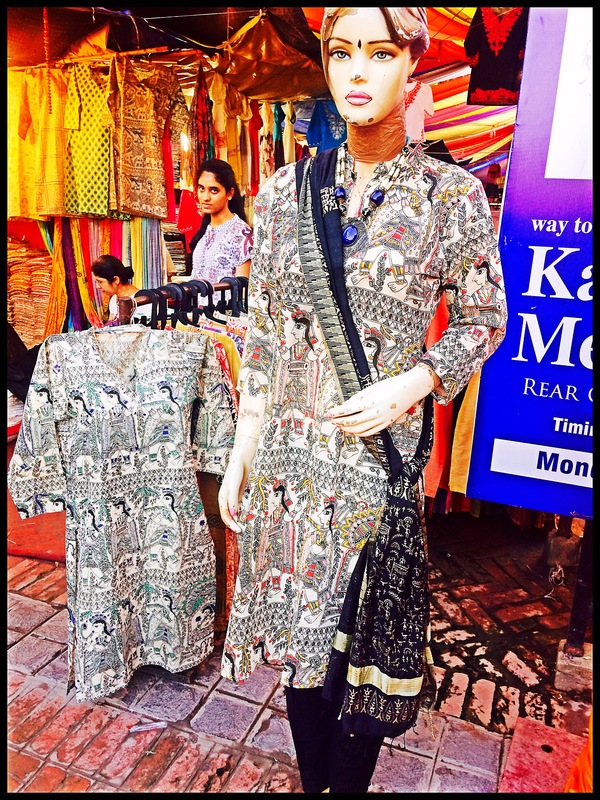 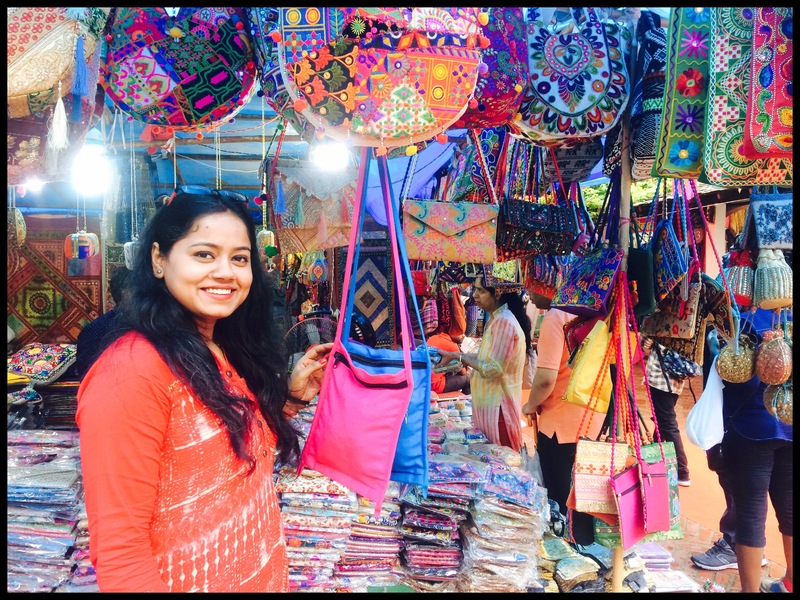 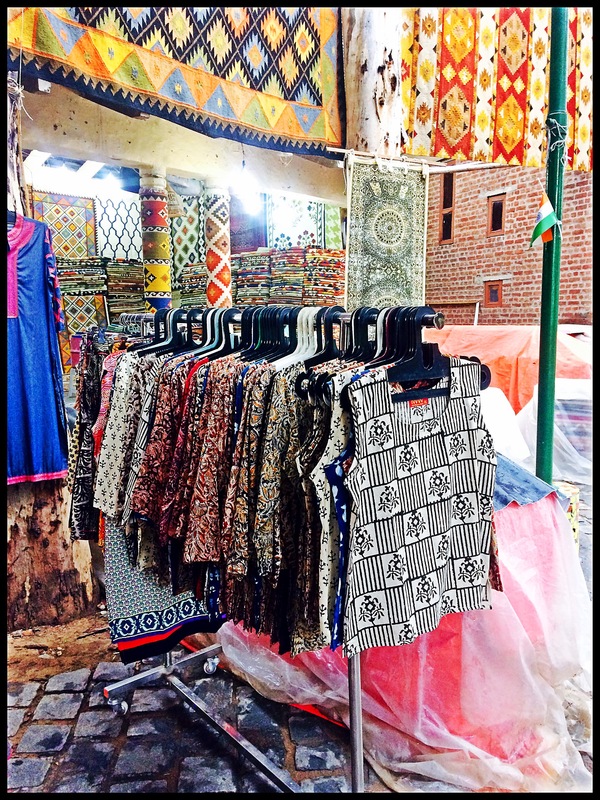 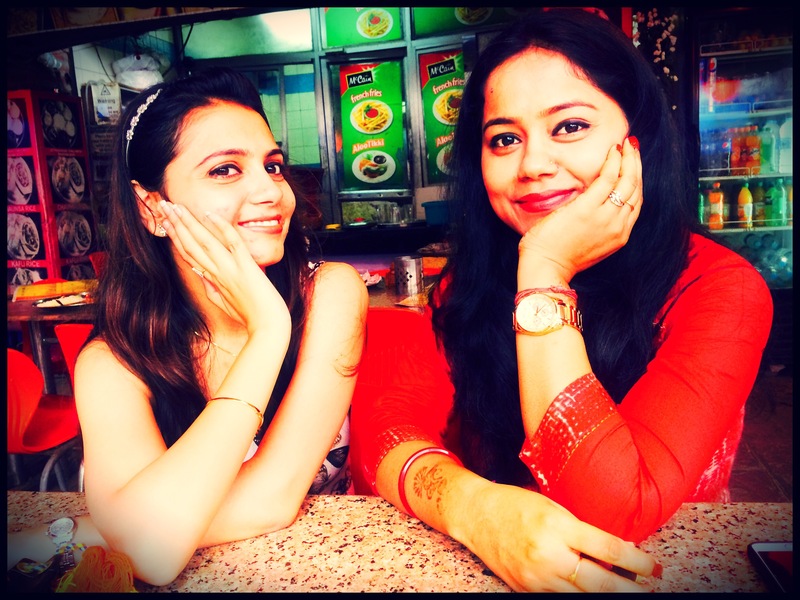 I wanted to cover Delhi Haat for the blog and it couldn’t have been a better experience than exploring it with my bffs. 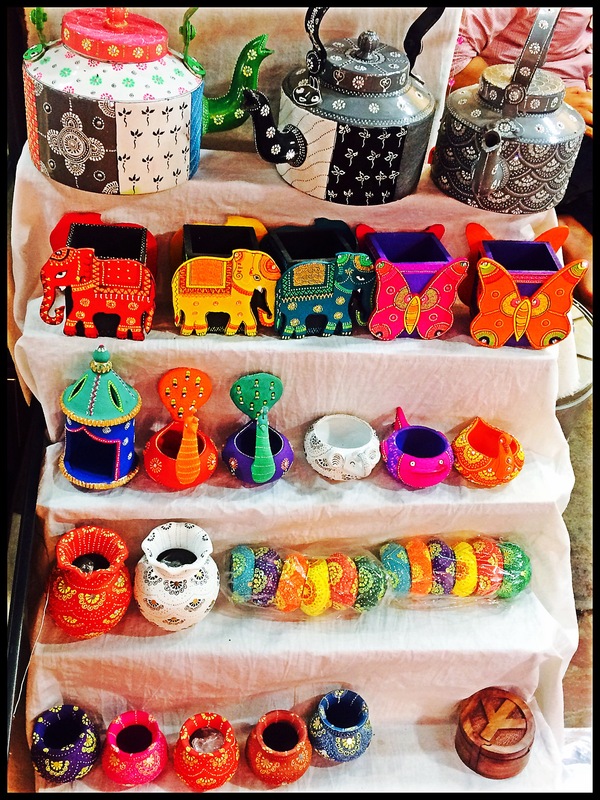 The word “haat” means an open marketplace which serves as a trading venue for artisans from various parts of the country. 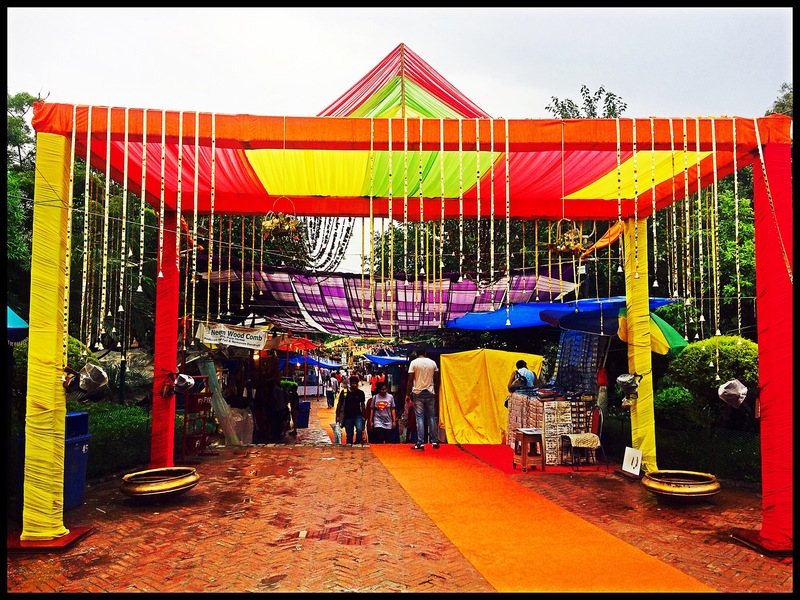 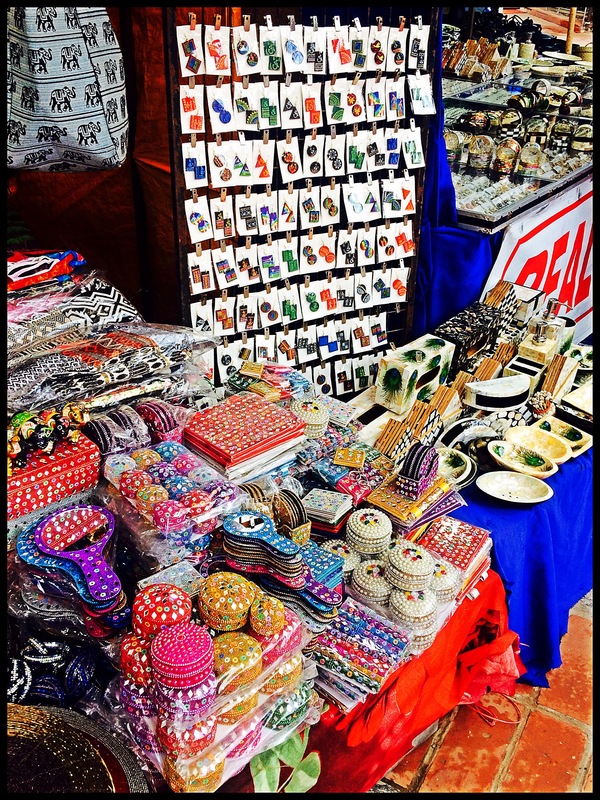 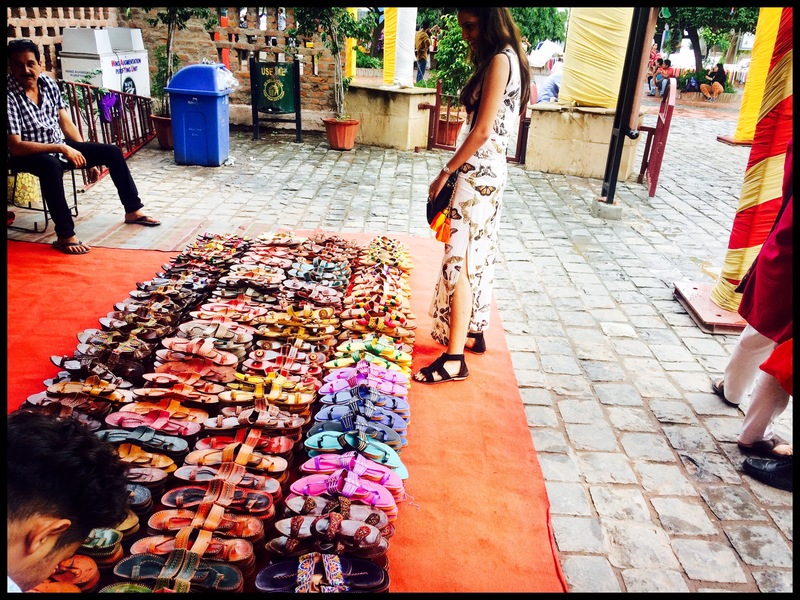 Delhi Haat is one such permanent crafts bazaar run by the Delhi Tourism. 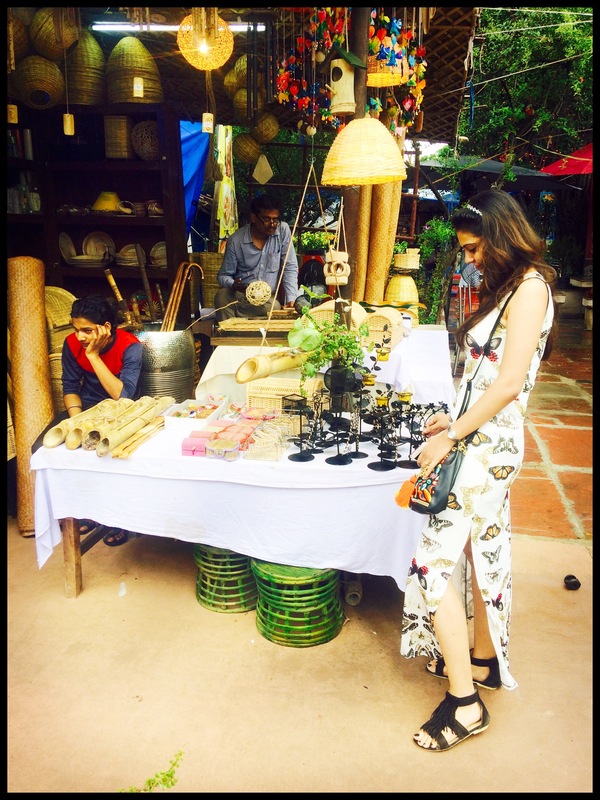 Extensive foundation work, small thatched roof cottages and kiosks give the place a rustic atmosphere. 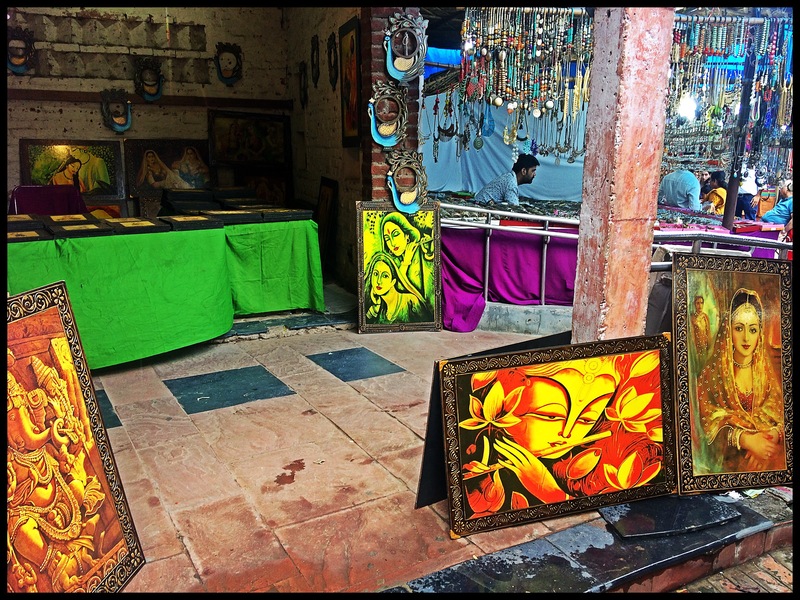 Some shops are permanent but other sellers are rotated, usually for fifteen days. 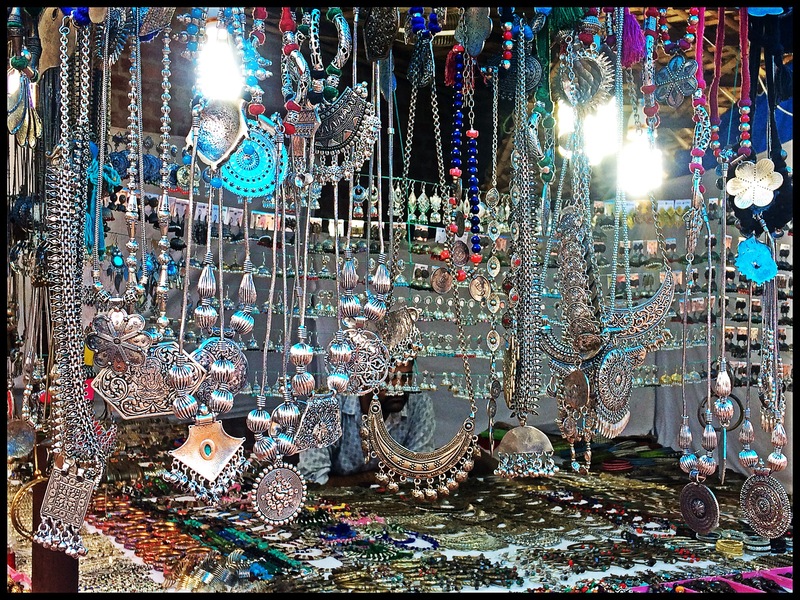 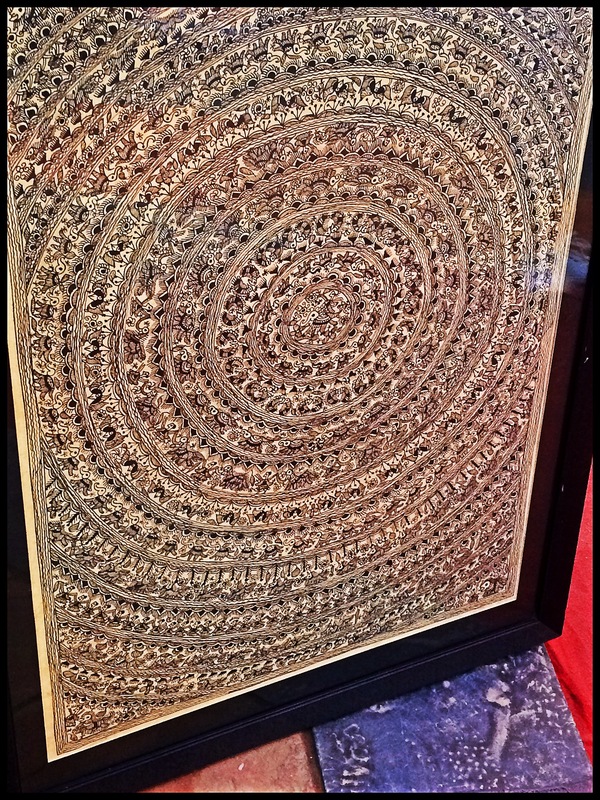 Products offered include rosewood and sandalwood carvings, embellished camel hide footwear, sophisticated fabric and drapery, gems, beads, brassware, metal crafts, and silk and wool fabrics. 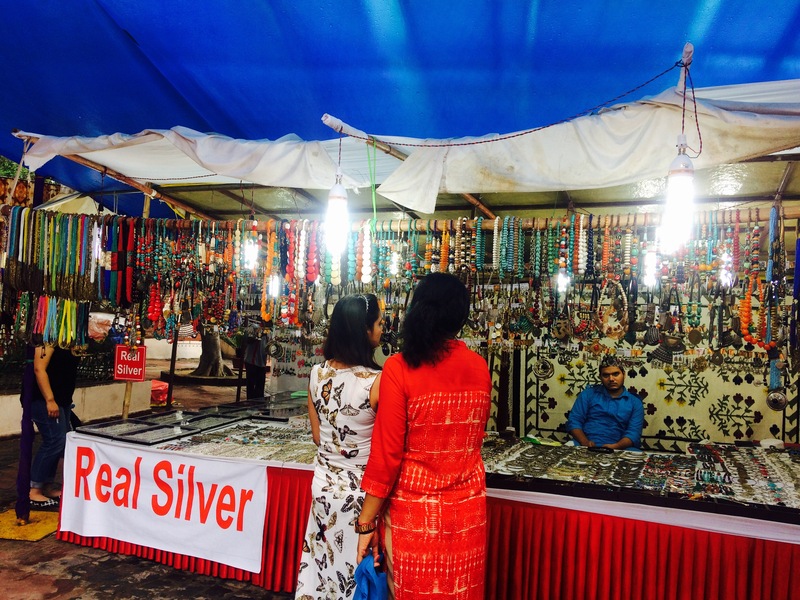 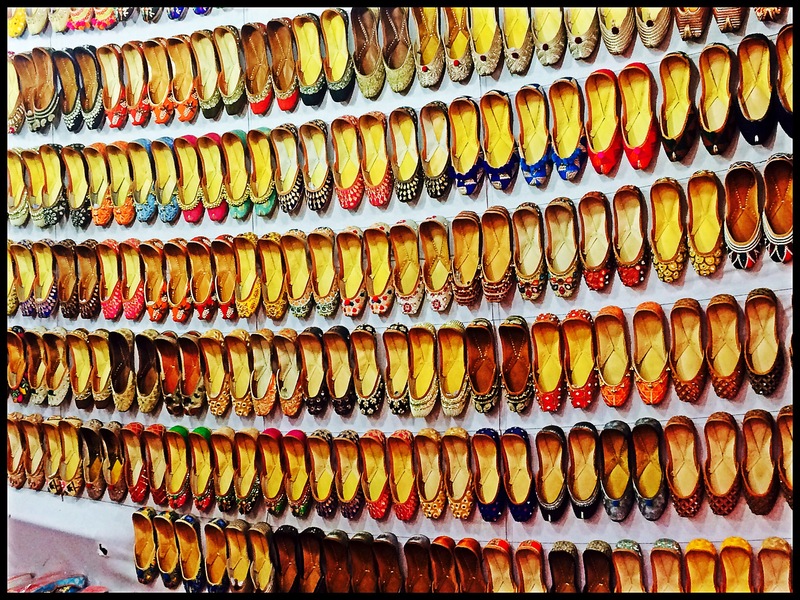 A number of shows promoting handicrafts and handlooms are held at the exhibition hall in the complex.